With Readly you can read All About History - Book Of Medieval History and thousands of other magazines on your tablet and smartphone. Get access to all with just one subscription. New releases and back issues – all included. "The Medieval era is often dismissed as a brutal period of darkness, ignorance, bloodshed and disease – the so-called ‘Dark Ages’ dividing classical antiquity from the age of enlightenment. But while warfare, invasions and religious persecution were certainly defining themes of the period, Medieval history is also filled with intrepid explorers, revolutionary artists and thinkers, and inspirational rulers whose legacies still live on to this day. 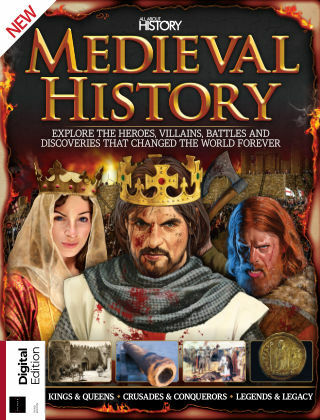 In the All About History Book of Medieval History we explore some of the most fascinating stories from this tumultuous period, from the triumph of William the Conqueror at the Battle of Hastings to the brutal Spanish Inquisition begun by Isabella of Castile. Read on to discover tales of kings and queens, crusaders and criminals, popes and peasants, and more. Featuring: An age of darkness and light - Chart the tumultuous history of the Medieval era with our timeline of the pathway from antiquity to modernity. 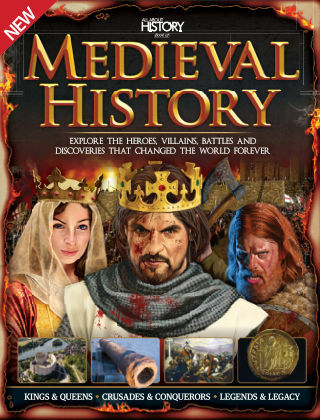 Wars, invasions & exploration - The Medieval period was filled with intrepid explorers, bloodthirsty tyrants and legendary warriors. Church & state - The Middle Ages saw the Church wield incredible power over everyone from monarchs to the peasantry. Life, death & the gateway to modernity - Life in the Medieval era could be harsh, but it laid the groundwork for the modern era."